Three of Samoa’s senior prosecutors from the National Prosecutions Office attended the Pacific Prosecutors Association (P.P.A) Conference held in Sofitel, Port Denarau Fiji last week. 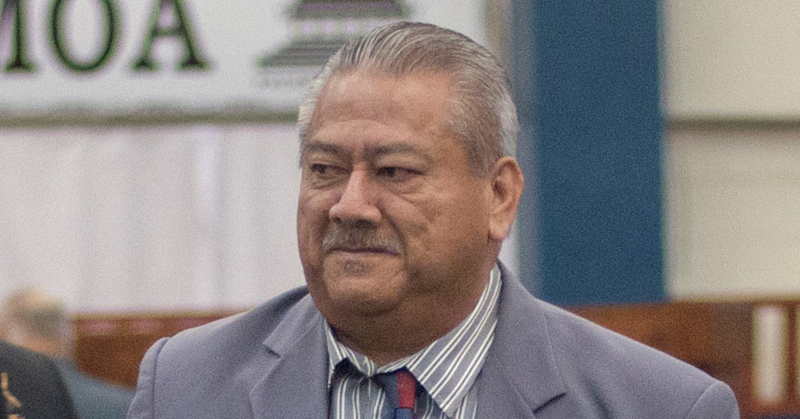 Samoa’s delegation included Ofisa Tagaloa, Lucymaria Sio and Lupematasila Iliganoa Atoa. 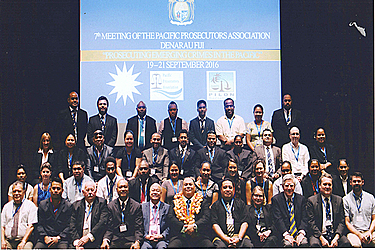 The Pacific Prosecutors Association is made up of 12 member countries including Samoa. It is an annual meeting held every year heads and members of prosecution offices meet on an annual basis to discuss common issues in prosecution in the Pacific. The association was an initiative by Samoan prosecutors over five years ago and it has been picked by prosecutors from around the Pacific and it has become a very important meeting for prosecutors to discuss practical solutions for problems in their respective countries. The issues discussed included the roles of the Director of Public Prosecution and the decision to prosecute, making public officials accountable, the duty of prosecutors to disclose information. Most importantly discussed were Ethical Conduct and Prosecution Standards. The focus was also based on child victims and sexual gender based violence at the core issues faced by all Pacific Island jurisdictions. Samoa was commended by other Pacific Island countries for being successful in the establishment of its independent National Prosecution Office and was highly acknowledged for the release of its Prosecutorial Guidelines published in the beginning of this year. 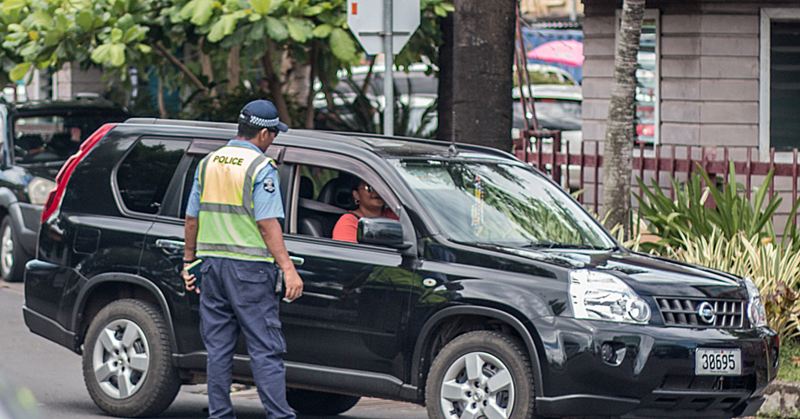 Samoa’s prosecutorial guidelines will be used by other prosecution offices in the Pacific as a starting point for their offices in developing their guidelines . Samoa was also acknowledged for hosting the PILON Secretariat – Acting Secretariat Coordinator Temalesi Buatoka. These PPA meetings are important especially in relation to mutual legal assistance as it is where Prosecutors from the Pacific seek assistance from another. This was seen when Samoa needed a Forensic Pathologist for post mortems in July this year, which the Director of Public Prosecution of Papua New Guinea Mr. Pondros Kaluwim assisted Samoa and had one of PNG’s forensic pathologist Dr. Phillip Golpak travel to Samoa to conduct post mortems without charging Samoa for the use of his services. Of course it was acknowledged that with the limited resources in the Pacific we try to help each other when we can because we know that one day the assistance will be reciprocated should another prosecution office need something from Samoa. Samoa is currently one of the member countries in the training working group for PPA in the next meeting. The next PPA meeting will be held in Port Moresby PNG in 2017 with the Director of Public Prosecutions hosting. Every year young prosecutors fundraise to attend this meeting as a learning experience and an opportunity for exposure to create networks in their field and the Samoan legal community and others in law enforcement community have always been kind to assist. On behalf of these young prosecutors, the National Prosecution Office expresses our gratitude for your support.